Have it your way in the pub. To make things easy for a publican we have more or less come up with an easy solution to site a machine. The picture above will allow the machine to stand on a bar area, the machine can be bolted down if required. The picture above will show the machine wall mounted and very secure. Maybe you would like the machine on a floor stand,allow movement to any area of the pub. We guarantee that the machine will generate lots of interest and you will be under no obligation with contracts or payments,we in fact will pay you commission as a thank you for your hospitality. A very good week so far. Has been very busy week and some long walking involved to the tune of about 600 golf balls,we are finding some interesting stats starting to develop at courses. One day you go round and find nothing but Calloway another day Nike just like todays visit we retrieved a complete bag of very good nike and yes the bag is big enough to hold 3 figure sums,you know when you have done well when your back starts to ache and everything that goes with it. What a lovely chap that young man is at the Thatchers Arms Pub in Mount Bures situated in the country quite close to Stanstead. Mitch has openly praised our golf ball venture and we at last had some more interest following the comment on twitter. Pub landlords should all be installing the golf ball vending machine,it increases awareness,saves having to shop around and you can enjoy a pint in the meantime all in the happiness of your local and most importantly cheaper than any shop or golf course? 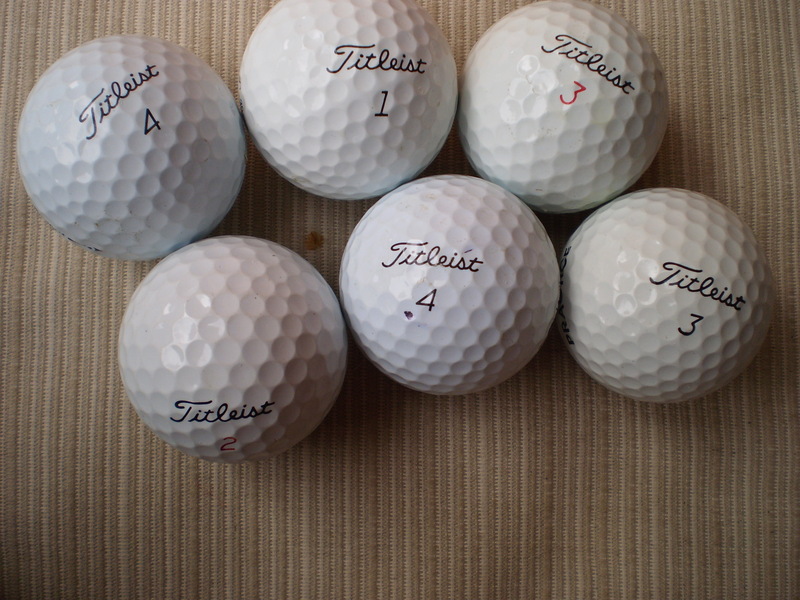 ProV balls from Titleist for £1 am i going crazy? what a bargain. This particular person has 12 pubs and maybe we might just secure 1..2..3..?…? who knows what will come from it but a big thank you to all concerned and a generous commission for having the machine will be paid direct to the landlord. If you play golf and have a pub society get your landlord to get our machine in we site free of charge no contracts and we only vend top end golf balls at £1 a ball what a bargain….Now going to meet a publican to have a chat and a deserved beer. Goodness me the fields and hedgerows are a light with Nike balls,we have a full bag of these beauties today. Who wants ProV Golf Balls. We found over 20 today many brand new balls that made me happy,long time since that amount of proV balls have landed in our bag. As you can see these beauties hardly need washing,but be assured a good wash will be applied. 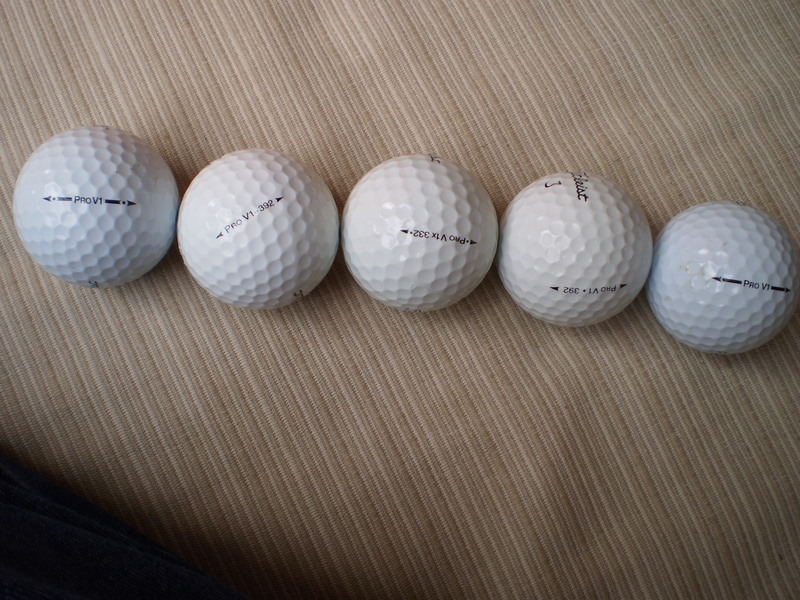 Are you aware that 1 of these ProV’s would cost around £3 maybe £4 in a golf shop..??????????? a lot of money indeed for a golf ball. This is why we wash them and can them and sell them through our vending machines at just £1 what a bargain ? Get them in the pub. Machines now vending a selection of sweets for the kids and a range of top golf balls for mum and dad…keeping everyone happy. 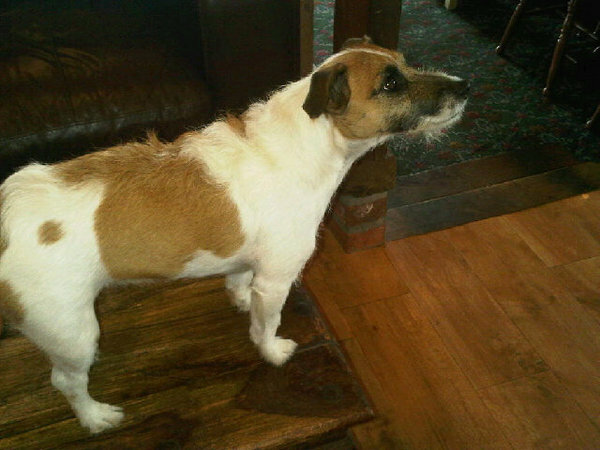 It was very nice to meet Mitch at his very lovely location in Mount Bures,wonderful scenary and a very nice pub which was serving some very good food (meant to get a pie for tilly) totally forgot ! I was very surprised at the number of golf balls that have been sold through the machine and look forward to refilling again in the future. Mitch commented that the children love the pictures and this echoes what i have said previously,all our sites are saying the same thing. 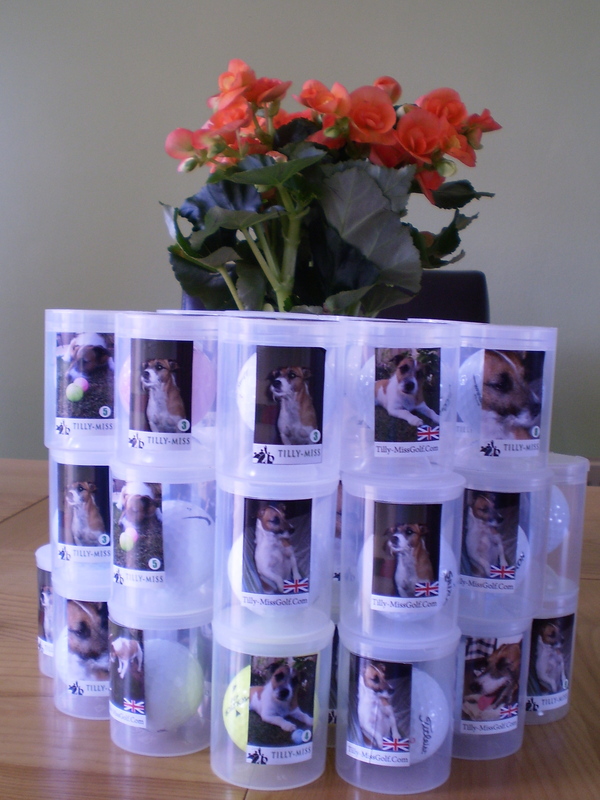 Thank you very much for your support and thank you for the picture of tilly-miss. Looking forward to driving across to the Thatchers Arms Pub with refills for there golfing society machine. The society will be delighted with the refills which include some great Titleist ProV balls and Srixon along with a few colours. Now i have another order to fulfill a range of ProV balls along with Srixon and Calloway that i must post today for a golf competition at the weekend. 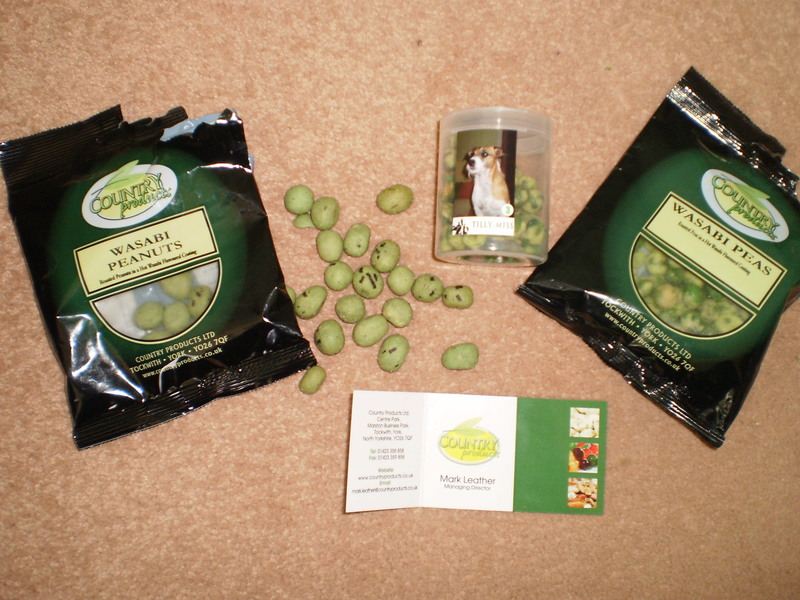 Wasabi Nut In Our Vending. It is always a pleasure to recieve samples from companies who take the time and effort to take notice of the small man trying hard to find a niche in the market. 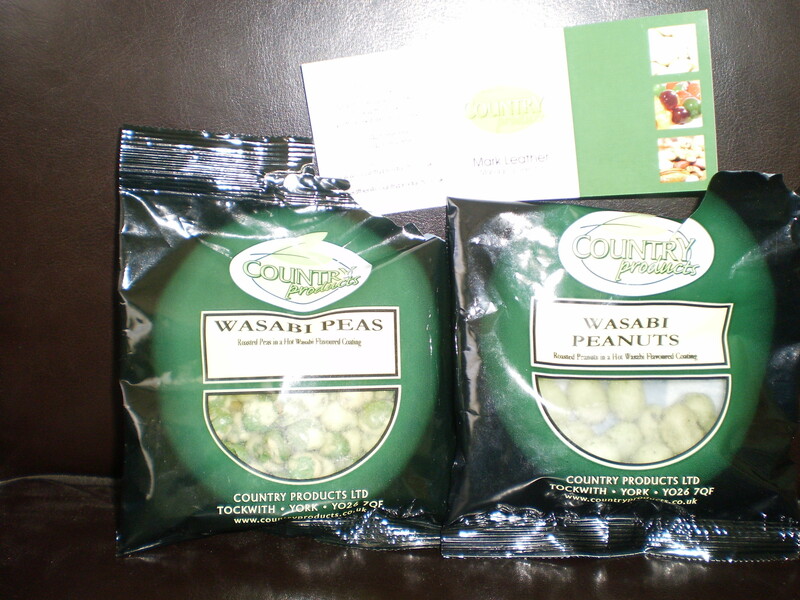 I have already been out on a tasting mission for the peanuts and dried wasabi peas the feedback has generated lots of comments which are indeed positive. I can imagine people sitting in there local sipping a pint and enjoying this great product,as comments were : Great tasting nut : will certainly make pub goers drink more? : every landlord’s dream words. on a cold morning these nuts will certainly warm the inside of a kangaroo let alone a golfer….they are straight to the point of the tastebuds and do what they say on the packet…..phew…time for a nice ice cold Magners…..
Do you run a pub : would you like a machine sited free loaded with a variety of product?…..get in touch….i can have a machine sited at your location within 48hrs. Washed and ready to go golf balls. Orders completed after another long wash process,more sales today done online. We were out tonight and bagged another 41 balls where they are coming from heaven knows,for some strange reason the ProV Ball is dropping everywhere,we have loads and tilly certainly likes the proV which when you see what they cost £3 to £4 per ball you know why? yet they lay discarded almost waiting for us, in our machines they sell for a £1 per ball? is it any wonder we sell loads of them. Thank you to all Ebay clients who have purchased our various brands of ball, interest has been fantastic and the bidding has been going crazy very fascinating to watch the final minutes. Scraggy the fox was very late this morning i waited until 02:00 for his arrival the food was scattered on the lawn a very meaty feast, but he never arrived so i went to my bed only to hear a noise at around 03:30 i was out the bed and looked out the window,he was there eating his heart out and when i got up the lawn was clear. Tonight scraggy will have meat and potatoes and a selection of fried rice again specially prepared…i must be mad but i just love feeding wildlife. we provided a vending machine at ths location (a free bar standing) machine for use to there golf society,we have been notified that the machine needs to be refilled. I will call with a selection of top name brands which will include balls such as ProV’s….Calloway…Srixon….and colours…as requested. All our pub sites are doing very well and we are now being asked to provide sweets for the children who join there parents in the garden at weekends. We have a range of sweets available direct from our supplier which include chocolate nuts,jelly beans,soft chews,love hearts,for the adult we have the hot chilli nuts along with the wasabi nut. We are looking for more sites and welcome enquiries from all areas,we have another 5 sites ready to go live these have been supplied by our supplier of vending machines. Finally a big thank you to all the landlords / land-ladies who have allowed tilly-miss in to there home,we really appreciate what you have done. 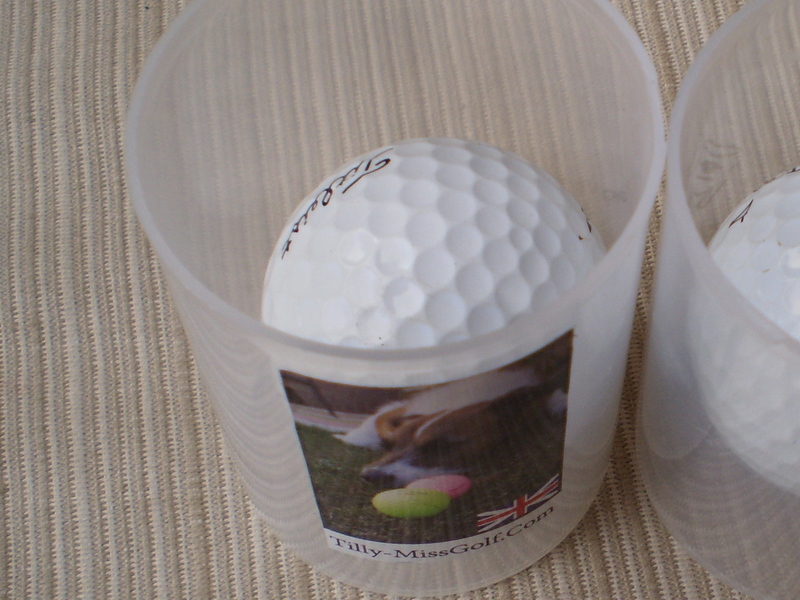 You are currently browsing the Tilly the Golf Ball Retriever Dog blog archives for July, 2010.